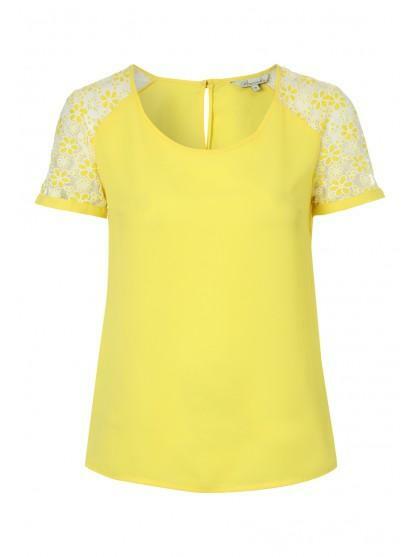 Bring sunshine into your wardrobe with this women's lace sleeve top. 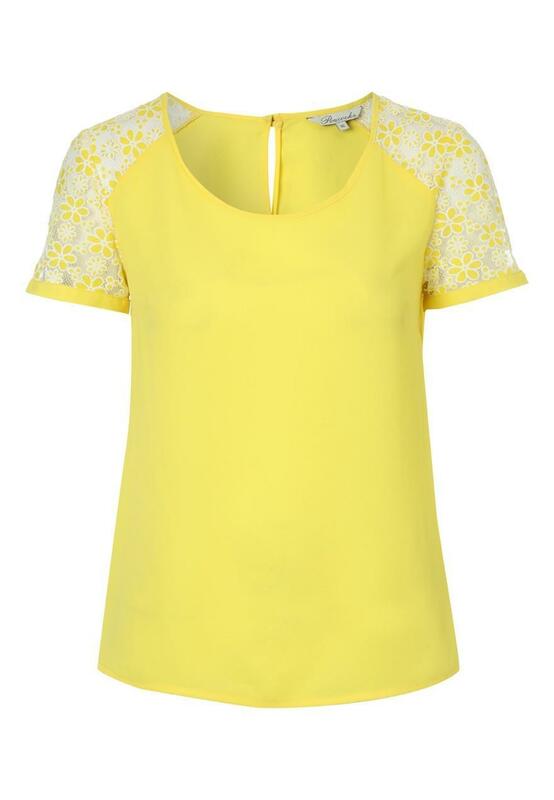 In a sunny yellow shade, this top features a keyhole back, round neck and intricate lace, short sleeves. Team with a pair of jeans and wedges for a fashionable outfit that's fit for a night out with the girls.